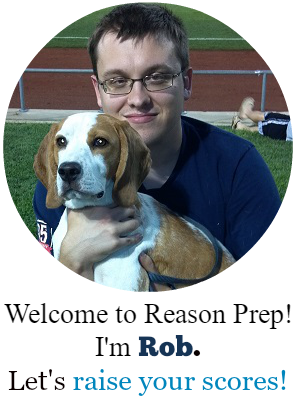 Third-party test prep books and resources for the SAT & ACT – made by companies like Kaplan, Princeton Review, Barron’s, and other small companies and tutors (like Reason Prep!) – can be useful if they’re used correctly. In this video I cover five tips for using third-party prep materials properly and help you avoid the biggest mistakes students make when using this material. What do I mean by “third-party test prep books”? Any practice material (books, practice tests, practice questions, courses) made for the SAT, ACT, or other tests that is NOT made by the College Board or ACT Inc. Think of the test prep books you can find in your local big box store or on Amazon by companies like the Princeton Review, McGraw-Hill, Barron’s, Kaplan, etc. This also includes books made by smaller test prep companies or tutors – even Reason Prep! Third party practice material can be super helpful when learning a new concept or strategy, but they’re not reliable as assessments of your reading skills as measured by the SAT/ACT. In other words, using the practice tests included in these books, and trusting the scores they give you as some measure of your current SAT or ACT level, is not a good idea. Think of how difficult it is to make an SAT or an ACT that’s both valid and reliable. It takes the College Board and ACT Inc. years and hundreds of thousands (millions?) of dollars to create each test. Look here, for example, at the College Board’s procedure for how they generate new questions for their tests. The process for creating ACT questions is similar. I can guarantee – and tell you from experience – that that test prep companies companies don’t put their practice materials through the same rigorous process. We don’t have the money or time to do this – and that’s OK! Our goals are different. The CB and ACT, Inc. need to create valid, reliable, fair tests. They cannot afford mistakes or sloppiness because the futures of millions of students rely on this accuracy. And colleges and universities won’t use these tests if they don’t measure what they purport to measure. So if the SAT and ACT don’t get it right…bye bye! 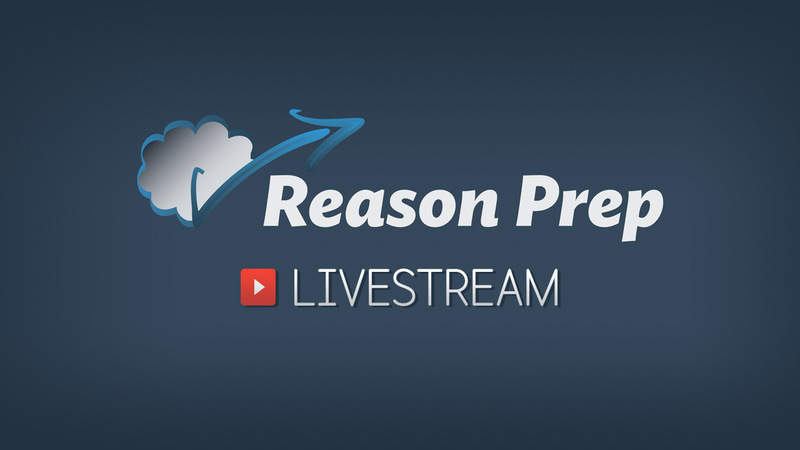 On the other hand, Reason Prep and other companies are trying to teach you concepts and strategies. We can leave the measurement to real tests. Our material isn’t as rigorously designed, but that’s OK if it’s just being used for targeted practice. Unfortunately, some prep companies and tutors don’t make this clear to students, so too many students take these practice tests thinking that they accurately measure SAT & ACT skill. Unfortunately, they do not! There’s nothing wrong with third party books, courses, and practice problems. But we need to understand the power – and limitations – of that material when it’s used correctly. Here are five tips to make sure that you get the most out of your third-party prep and avoid mistakes that hamper score gains. 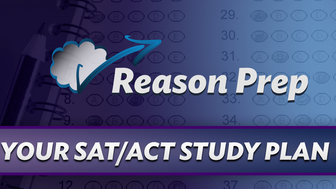 Tip #1: Use real SATs & ACTs as the core of your prep. 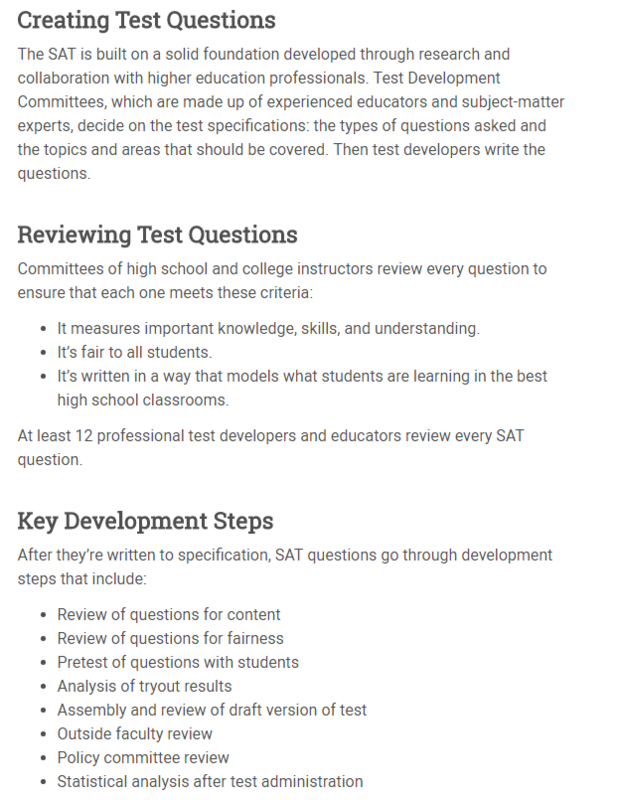 Real practice tests are pure gold and should be exploited to the fullest extent. Use them for timed sections and full timed tests. Review each and every question to ensure you understand them. Wait a few weeks or months and redo the tests. Tip #2: Never, ever, EVER!!! use third-party tests as full, timed practice. Third-party tests, as discussed above, are unreliable measures of your SAT & ACT score. Use real tests for that. Tip #3: Use third-party practice problems and tests for targeted practice. What third party tests and practice problems are useful for is targeted practice. Use them to review topics in Math and Writing/English that give you trouble. You can even use them to practice certain skills useful on Reading or ACT Science. Isolate your weaknesses and build on your strengths. Tip #4: Not all practice material is made equally. However, even though third-party test prep material can be useful for targeted practice, it’s not all equally good. Math is usually pretty good. It’s easy for us to reskin questions – changing some numbers or words around – and still test the core concepts. Writing can sometimes be a bit trickier to get right, but practice Grammar questions are usually OK. Just watch out for questions testing rules that won’t appear on the tests or questions with two (or more!) ambiguous or too-close-to-call choices. ACT Science quality depends heavily on passage quality. It’s not terribly difficult to create similar question types to those you’ll see on the ACT, but the tests will never be able to balance the time pressure & difficulty equation that the ACT balances so carefully. So use third-party ACT Science materials sparingly, primarily to reinforce your understanding of the scientific method or to practice data analysis skills. Reading (SAT or ACT) – be VERY careful with these. Creating practice Reading passages and questions is hard to get right. Too many books are filled with bad passages, ambiguous questions, and choices that are impossible to differentiate. In other words, they create questions whose answers are subjective. Not good, and something you’ll never see on the SAT or ACT. I generally recommend to avoid all third-party Reading practice and only stick with the real thing. Tip #5: Use third-party books as sources of strategy. The place where third party book and courses shine is in teaching strategy. The College Board and ACT Inc will never tell you the weaknesses of their tests and how to exploit them. That’s our job! Do note, however, that no book or course will have that one “magic bullet” that, without any effort on your part, will magically increase your score by 700 or 10 points. Not gonna happen. Doesn’t exist. Improvement will always require work. That said, some strategies are better than others, so shop around a bit. Experiment to see what works for you. And I highly recommend checking out my courses – I think they’re pretty rad.